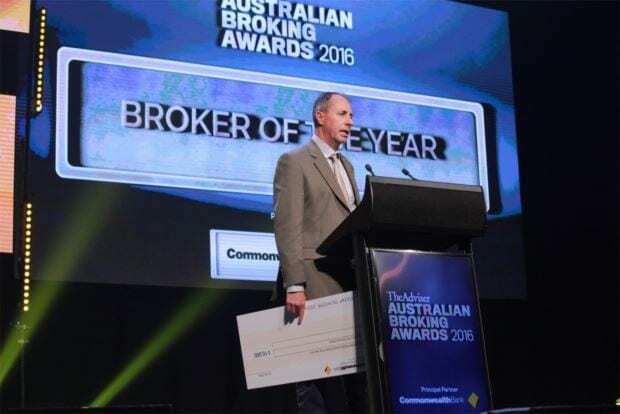 Crowned Broker of the Year at this year’s Australian Broking Awards, Brad Sewell shares with The Adviser the secret to being the country’s most successful regional broker. Earlier this month, amidst a crowd of more than 700 of the industry’s best, Mr Sewell received the coveted Broker of the Year award as well as the Customer Service of the Year award for individuals. His office Robinson Sewell Partners was also given the award for Regional Office of the Year. Speaking to The Adviser, Mr Sewell said that when it comes to broking, both regional and otherwise, the brokers that command the greatest level of success and respect are those who “don’t give up on the first round”. “If you can’t get an approval on that first go, you talk to peers and see if they can find a solution somewhere else, and when you do find a solution, that’s when your name really starts to get put around the traps,” he said. Mr Sewell explained that one of the biggest challenges that regional customers experience is a lack of access to knowledge. “During the day they could be out in the paddock and there’s no reception – they might not get reception at all or any connectivity so it’s that greater level of difficulty in acquiring knowledge,” he said. To combat this, Mr Sewell regularly attends speaking events with farmers from local communities, delivering hour-long presentations to help people understand how finance works. “It’s just the grunt work, it’s getting in the car, doing the kilometres and just getting around and meeting people,” he said. Robinson Sewell also produces a fortnightly newsletter specifically focused on the issues that affect rural and regional areas from a finance and banking perspective. The newsletter attracts approximately 2,500 subscribers and includes original content from both he and his business partner, Ian Robinson. Mr Sewell explained that the newsletter is in an unconventional format, drawing on the personal experiences of himself and Mr Robinson. “Ian is a professional mountain climber and uses some of his experiences around the world to highlight certain issues in finance and banking and by putting it in a personal context and layman’s terms, people tend to understand it,” he said. The rural property market is a strong performer and continues to gain momentum, Mr Sewell said, due to the recent rain in NSW and other states which has injected confidence into the agricultural sector. Robinson Sewell also continues to go from strength to strength – Mr Sewell said that the brokerage has plans to expand in the near future.